As discussed above, where the case of a minor falls within the exceptions as provided in the proviso to Section 64(1A), that is, where a minor is disabled or has income derived by virtue of his special skill, talent, etc. then the income of the minor is not clubbable with the income of his parent. However, there are certain other cases where a minor’s income is to be independently assessed and is not to be included in the income of any other person. Such is the case where the minor is an orphan, that is, where he has lost his parents. In such a case, the income of the minor out of the funds belonging to the minor, as a result of succession or inheritance or gifts, etc. would not be includible in the income of the grandfather, grand Mother or uncle or aunt or any other guardian. In such a case the income of the minor would be assessable separately through the guardian of the minor. If the minor orphan makes an investment in a partnership firm and receives some interest on his capital, the interest so received would, however, be treated as the business income of the minor and would be independently assessable in his hands. Of course, his share of the profits from the firm would be completely exempt from income tax as mentioned above under Section 1 0(2A) of the IT Act. Another very interesting and simple formula to let your minor children join your band for tax planning with a separate income tax file is to have a 100% specific beneficiary trust prepared for the minor child. 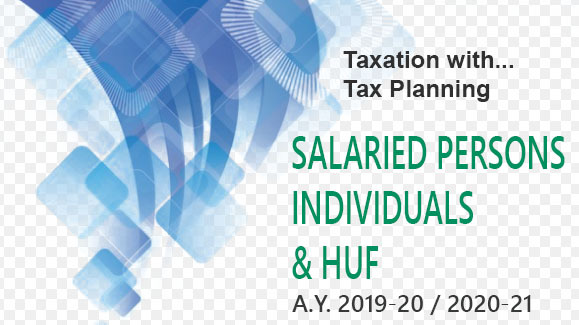 The aspect of special hi-tech tax planning would be to mention in the Trust Deed very clearly that so long as the minor child is a minor, then during such period of minority no part of the income of such a Trust would be spent on the minor child. This small little care if is taken into account while drafting a Trust Deed for the minor child then there would be no clubbing of the income of the minor child’s trust with the income of father or the mother of such minor child. This theme is based on the findings given in a very famous Supreme Court of India’s decision in the case of CIT v. M R. Doshi  211 ITR 1 (SC). Thus, all such persons who are interested to set up a separate independent income tax file of a minor child should adopt this tax planning of setting up a specific beneficiary trust for a minor child so as to reap the benefits of tax saving because of a separate independent income-tax file, the income of which is not liable to be clubbed with the income of the father or mother of the minor child. It is recommended that there should be separate specific trusts for each minor child.